Island Effect met with Katri Hakkarainen from Finland while she was staying at Island Mix in Rodney Bay. Katri and her partner are ‘independent travelers’ who like to explore places on their own. 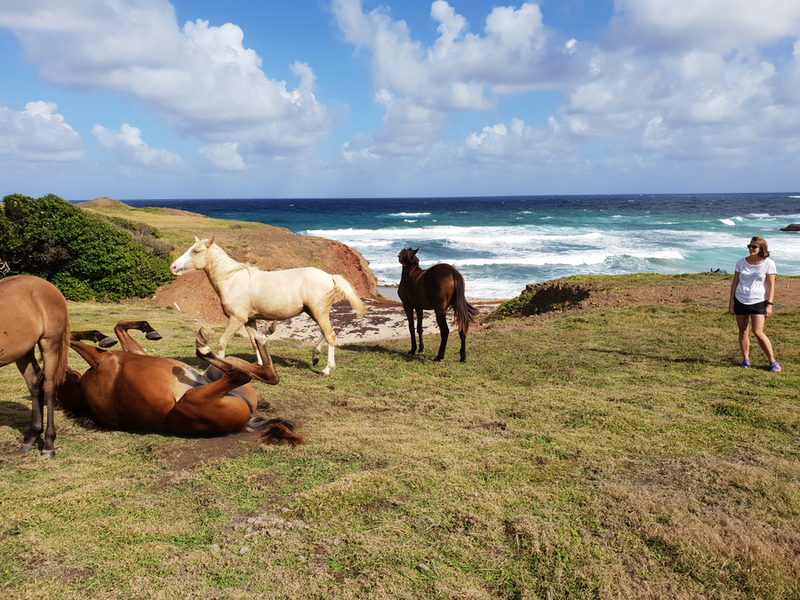 On top of that, Katri works in the hotel industry in Finland and is a regular traveller, so of course we were keen to find out what they thought of Saint Lucia for self-guided exploring. I.E. Katri, how often do you travel, and can you give us some idea of places you’ve been to? Katri: I tend to travel 4 to 6 times a year. I usually go to Spain twice a year since it is relatively cheap, close and warm. Estonia and Sweden are so close and cheap to travel to that I travel into them once a year or more. Most of the times (if not going to Spain) I travel within Europe. For example, I have been in Germany, Italy, Austria & Hungary. I usually try to do one longer trip once a year as well and those have been to USA, Asia and this year to Trinidad and St. Lucia. I.E. 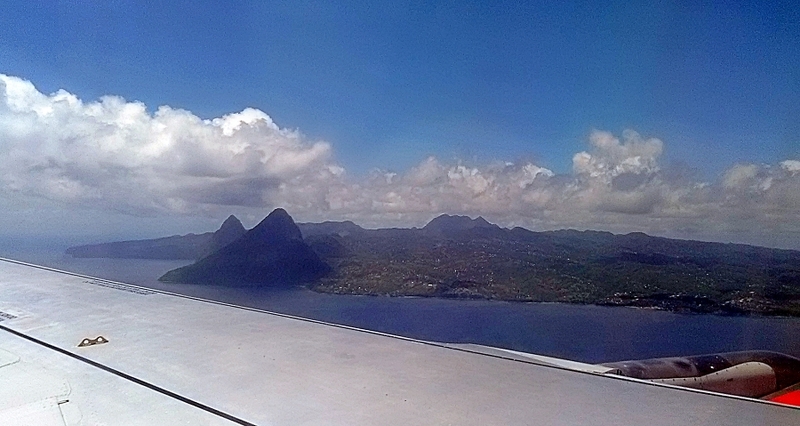 This was your first trip to Saint Lucia, right? What made you choose to come here? 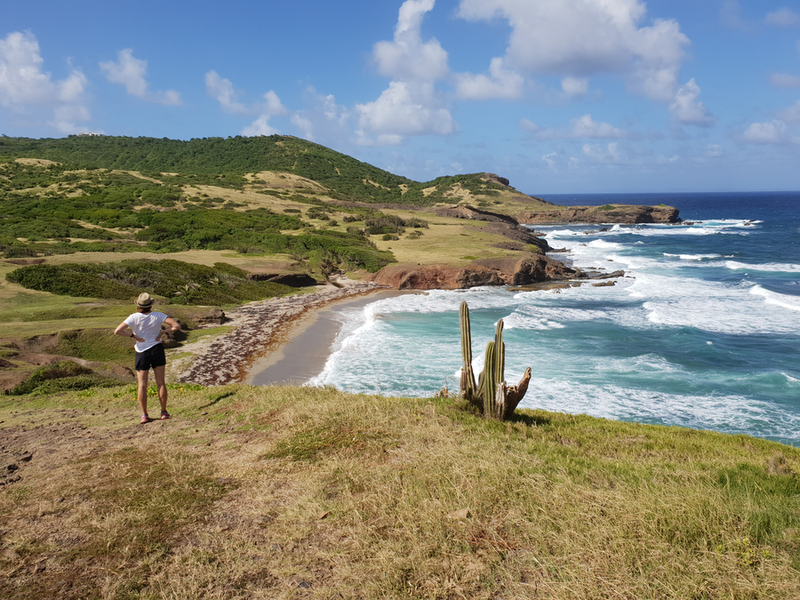 Katri: I had done some minor investigation of the Caribbean islands and St. Lucia sounded a good place to us as there was lot of outdoor activities to do, snorkelling, hiking, swimming etc. I had also discussed the issue with one of our hotel guests who was from Tobago and he concurred. I had also assumed (based on my trip to Thailand) that it would be easy to do island hopping from St. Lucia but that would have been possible mostly by plane in the end. I.E. So how long did you stay in Saint Lucia and where did you, and what made to choose those accommodations? Katri: We were in St. Lucia a bit over two weeks. Our first two days we spent in Vigie as it is next to the airport. We had only booked the first two nights and had no plans after that. We ended up in Rodney Bay after a taxi driver told us about the Gros Islet street party. I booked Island Mix’s guestroom from Booking.com for 3 nights based on the reviews and location. We ended up extending our stay for 3 or 4 nights more because we loved the place and the owner is pretty amazing too :). We would have probably stayed there longer but Nadia had a new guest coming in. From Island Mix we moved to Harmony Suites for the rest of our time in St. Lucia. We chose that also based on location and reviews. Of course, we also chose both places based on rates. The resorts were super expensive but then again those were not something we were interested in either. I.E. 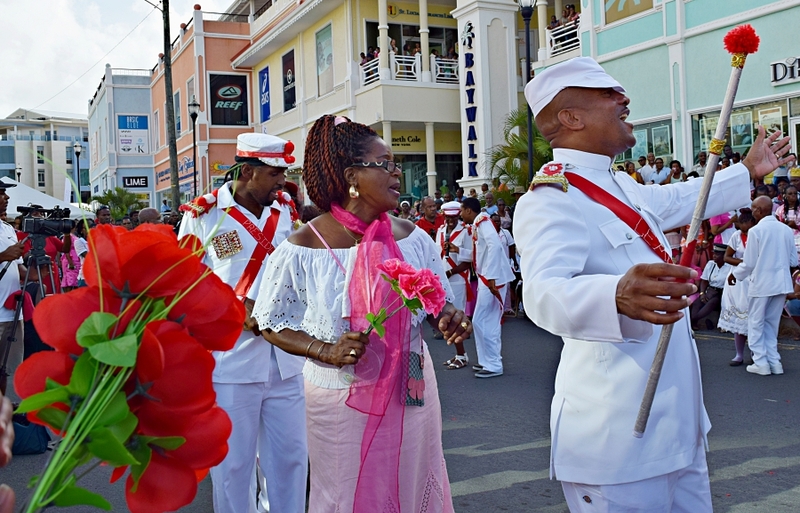 Sant Lucia is not traditionally an independent travel destination – how have you found it as independent travellers, finding accommodation, moving around, finding self-guided and off the beaten track activities/excursions/food? Katri: There are multiple different websites nowadays that you can use to find restaurants, hotels, activities etc. so it was quite easy to locate them. I mostly use Tripadvisor and Booking.com. 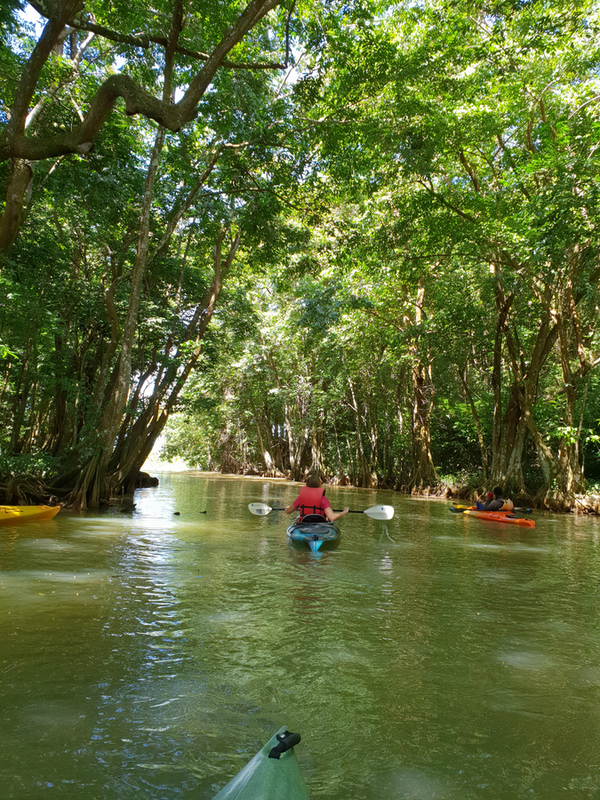 I also try to always find places that are not that well-known by tourists and those are a bit harder to find but we got a lot of help from Nadia and of course you and Island Effect. I.E. What do you look for when you’re traveling? Is experiencing local culture – festivals, going where the locals go, or eating local food important? Katri: When traveling I like to do a bit of everything, but it also depends on the destination and length of the trip. When on a shorter trip to a city it is nice to tour around and enjoy of the food, drinks and do some sightseeing. On longer trips I always try to include exercise in some form, usually hiking. If there are any local festivals going on, I will definitely go into those. One of my best memories from a trip is from a food festival in small village in Spain. I.E. 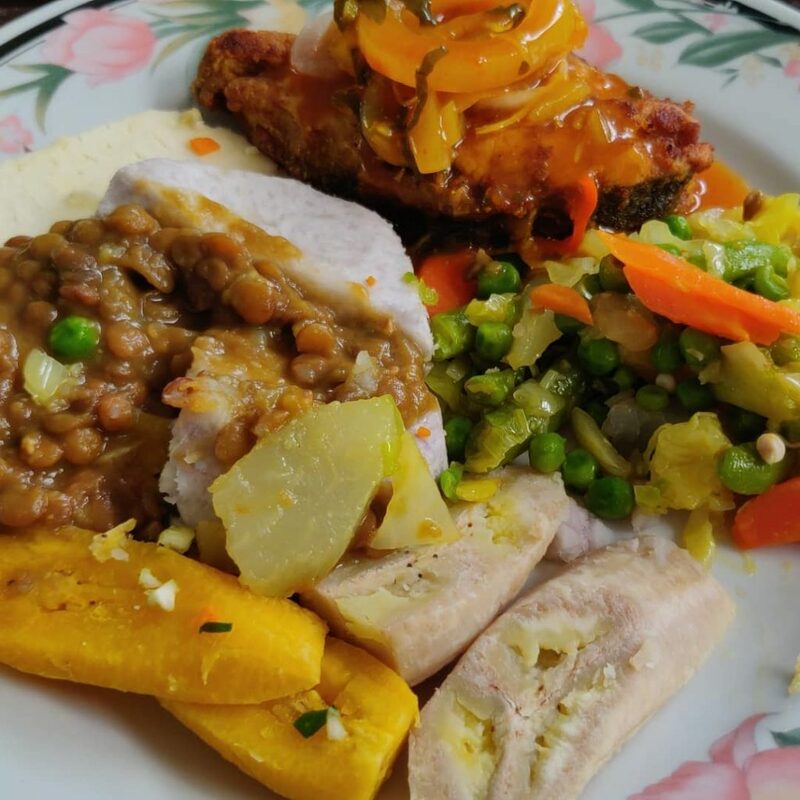 So, did you try any local Saint Lucian food or drink? Anything you discovered that you enjoyed? Katri: I tried local cuisine and liked it. The creole sauce was good, but I did not find the local food that different from what I am used to. Lot of fish and chicken-based foods which are common in Finland as well. I.E. Oh that’s interesting! 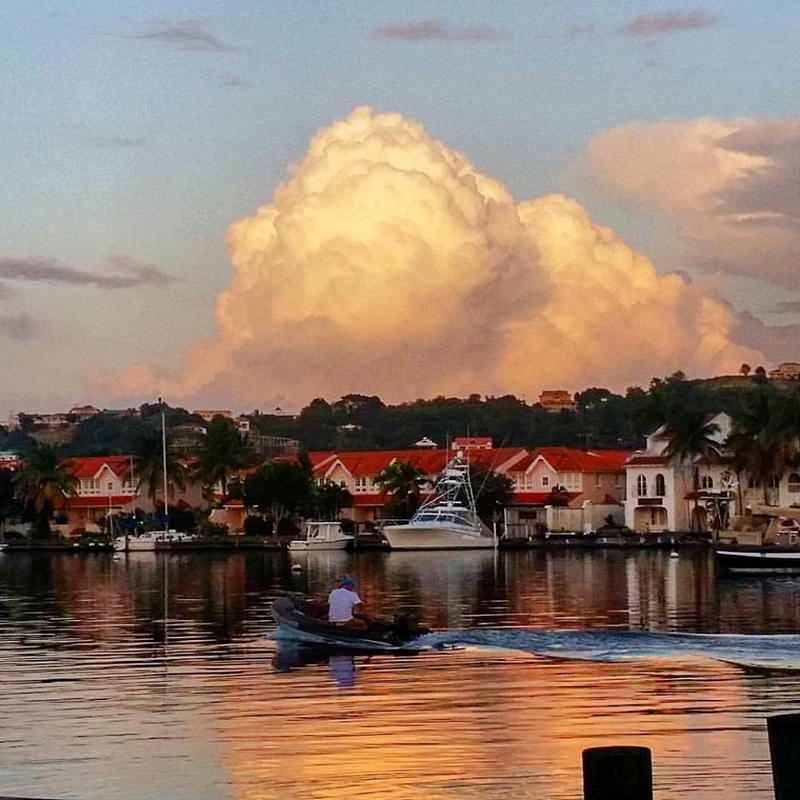 So what would you say were the highlights of your stay in Saint Lucia? Katri: Highlights of our stay in Saint Lucia were snorkelling and the walking route in Cas En Bas beach that’s on your website islandeffect.com. The overall climate was one of the best things when coming from dark and cold Finland. I.E. When you were out exploring on your own, how did you find it in terms of feeling safe? Katri: I found St. Lucia quite safe after spending 3 nights in Trinidad. Only time I felt a bit unsafe was when going for a run after 7 pm. I definitely would not go out exploring alone during the evening but during the day that would be fine. I.E. Do you have anything in particular you’d recommend to other independent travellers visiting Saint Lucia? 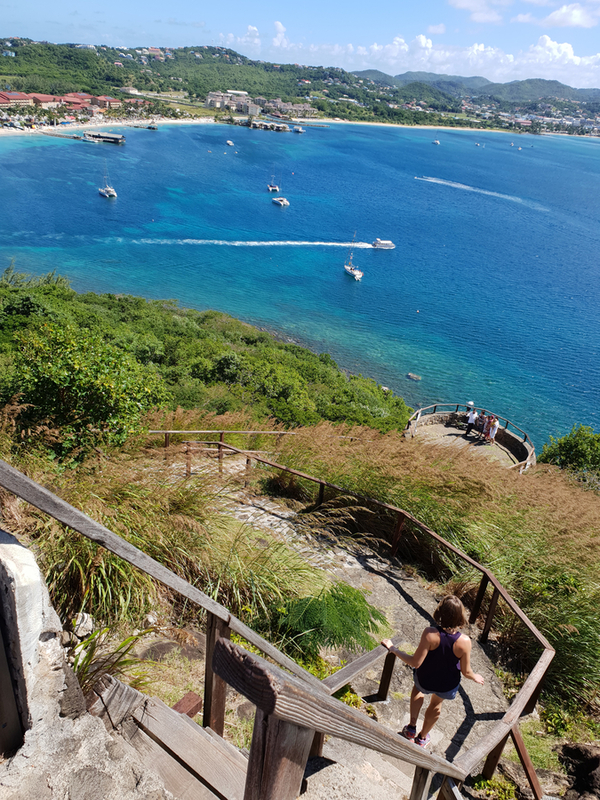 The view coming down from Fort Rodney on the Saint Lucia National Trust’s Pigeon Island National Landmark. The hills of Rodney Bay and beyond make a stunning instagram shot! Katri: Hard to say. Really depends on their interests. The walking route in Cas En Bas would be something worthwhile to see with the scenery and wild horses. I.E And for local businesses wanting to capture the independent travel market – what’s your advice – how can we make it easier for you to find us? Katri: As Tripadvisor is my main source when traveling, I would recommend using that and also try to get the business recognized and liked in there. It was quite difficult to find any information on businesses or events if they weren’t in Tripadvisor. I.E. IslandEffect.com aims at filling that gap as well of course, but we’re new and working up to ways we can be recommended on TripAdvisor! 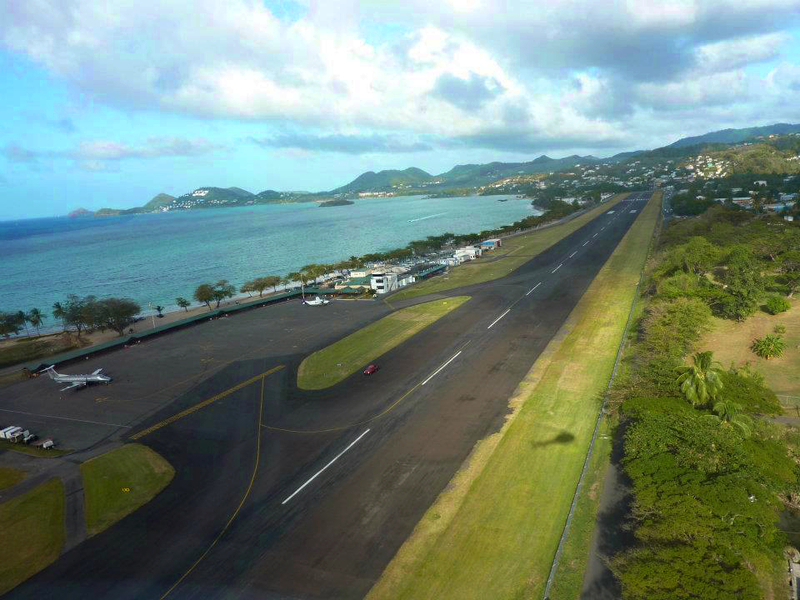 I recently had a conversation with someone looking to encourage the creation of cycle lanes and walking/running routes in and around Rodney Bay – Pigeon Island – do you think this would be of interest to a visitor like yourself? When you travel, would you look for something like that – mapped routes? Katri: That is exactly what we look when traveling! We love to hike so Lauri tried to find some hiking routes that do not require a guide because we want to hike to our own pace. We also did a couple of runs while there. For that we don’t really require specific routes because you can just go out and start running. We would have loved to do some biking though. We were told that it is not safe as there are no bike lanes and we didn’t really find shops to rent bikes either. There was one but we would have had to take a taxi there and did not feel like sitting in the traffic for that. So, bike lanes and walking routes would be very nice. I feel that lot of independent travelers probably like to explore new places by touring them by themselves without travel guides. At least we do! I.E. Well, thanks for taking time out to chat with us and share your photos of your visit to Saint Lucia Katri. Your insights are great and we hope that local organisations and tourism businesses will create more and more independent options into what’s on offer and for sure, Island Effect will be featuring all that we can find! 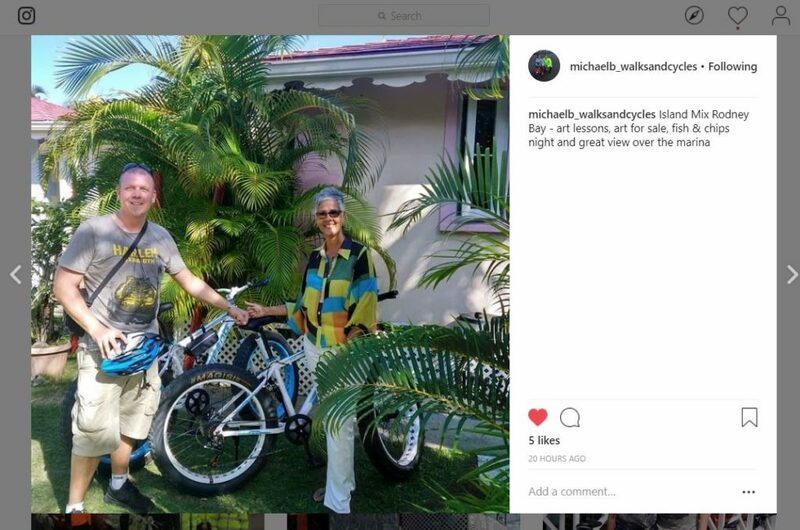 Michael B, an honorary St. Lucian – good suggestion about the bicycles, etc.